Mariscal doesn't have a parking lot per se; you simply park outside the chain-link fence. 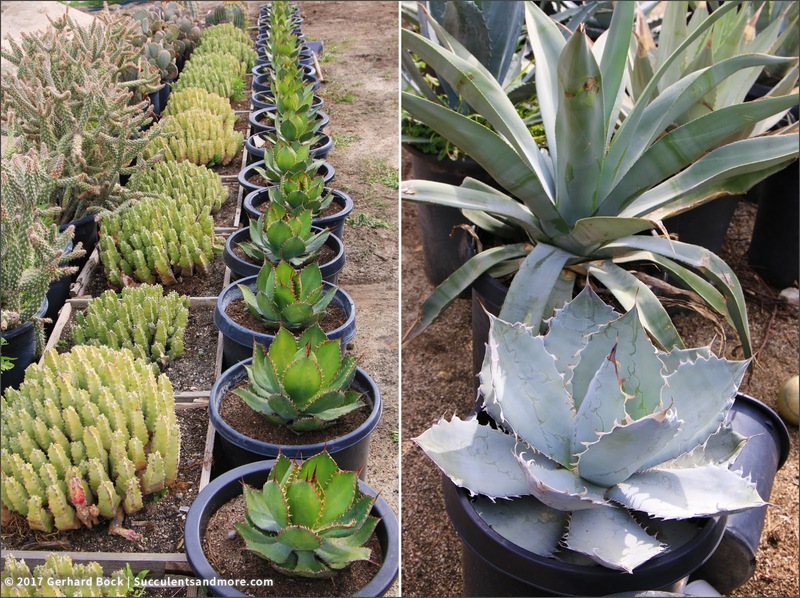 While they're open to the public, they're clearly a wholesale nursery, catering primarily to landscaping professionals. This isn't the kind of nursery you go to if you're not sure what you want or if you need a lot of hand-holding. 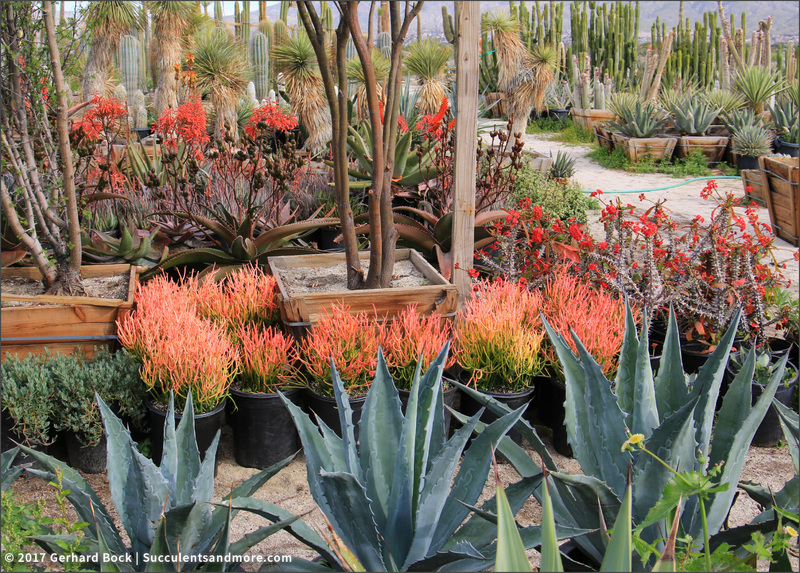 But if you love the thrill of walking through aisle upon aisle of succulents, not knowing what you might find next, then this place is for you. 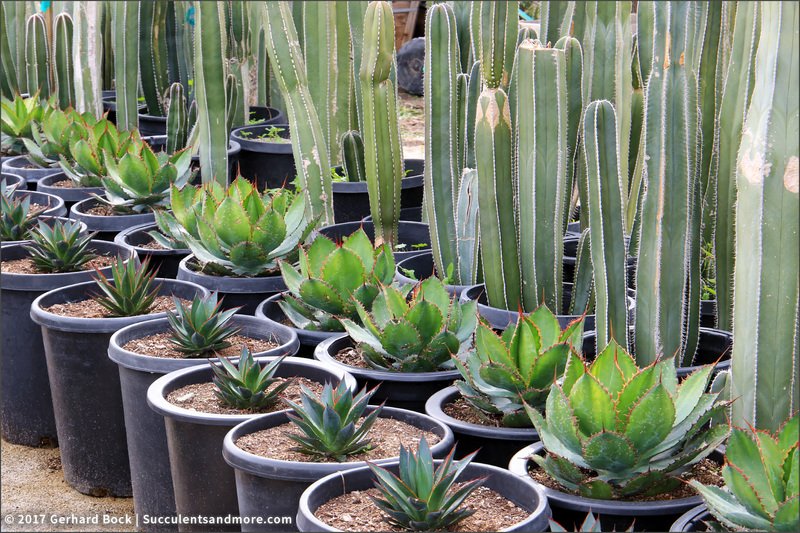 While Mariscal has a selection of smaller plants, most are in 5- or 15-gallon pots or 24-inch wooden boxes--instant impact in your garden if you have the space and $$$. Virtually nothing is labeled. 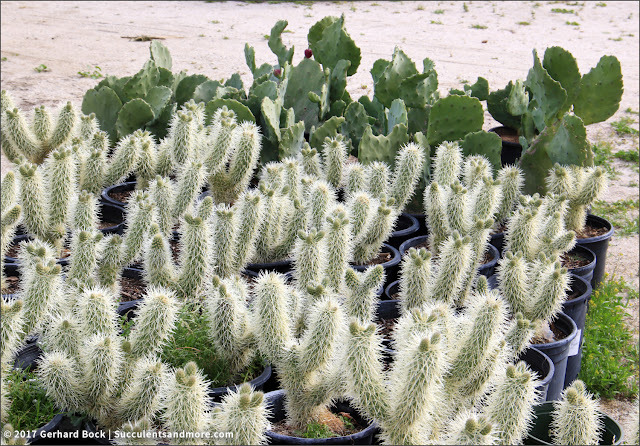 As I said, this is not a pretty retail nursery with a high staff-to-customer ratio. 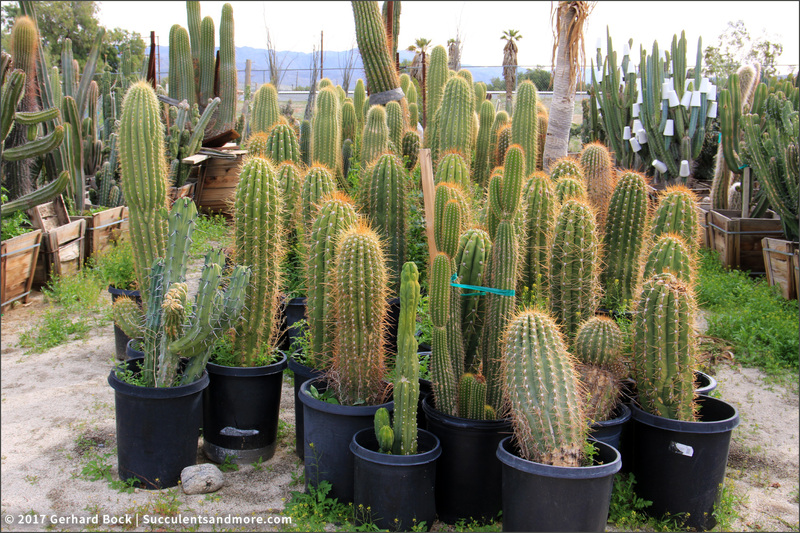 Either you're able to identify what you want or you find a nursery employee. They're busy doing their own work but will help if you ask them. Otherwise they leave you be, which I truly appreciate. There are lots of droolworthy plants. 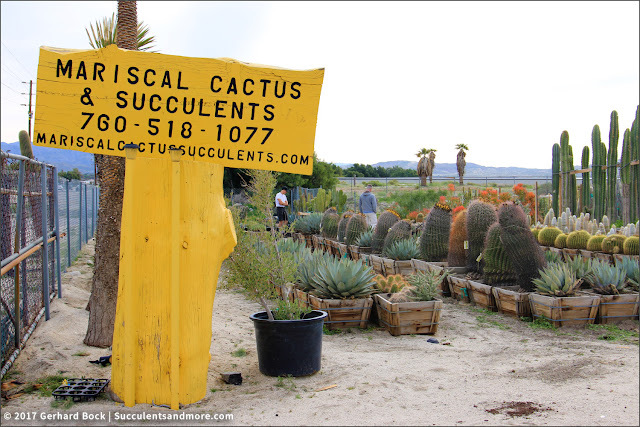 As I was walking around, I was playing out my favorite scenario in my head, pretending I had just bought a place nearby with a couple of acres of bare dirt. 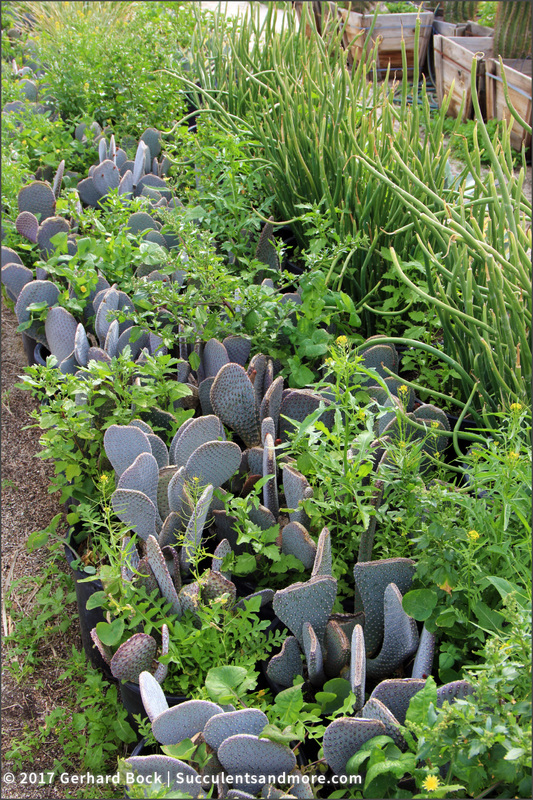 My mission now was to fill them with whatever plants I wanted, money being no object. 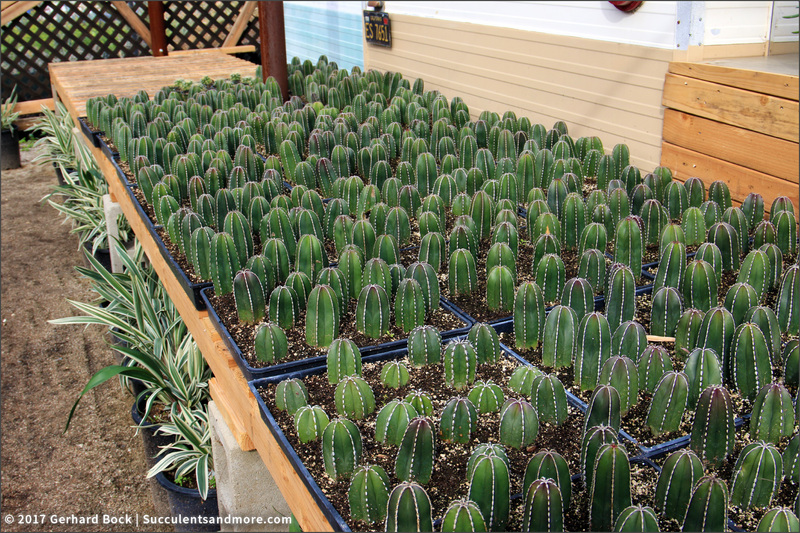 That, my friends, is the definition of gardening freedom! 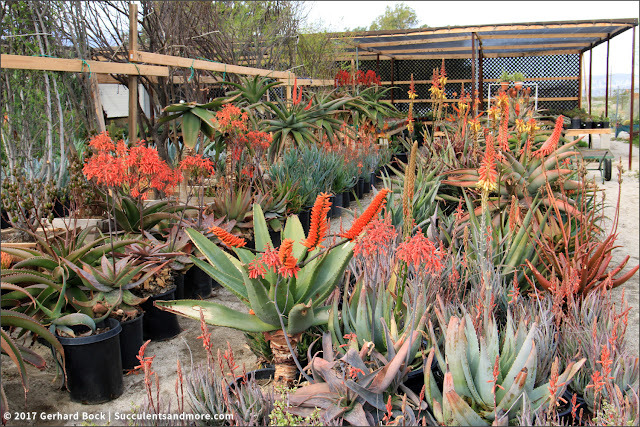 While Mariscal doesn't have a huge selection of aloes, what they did have looked happy and healthy. 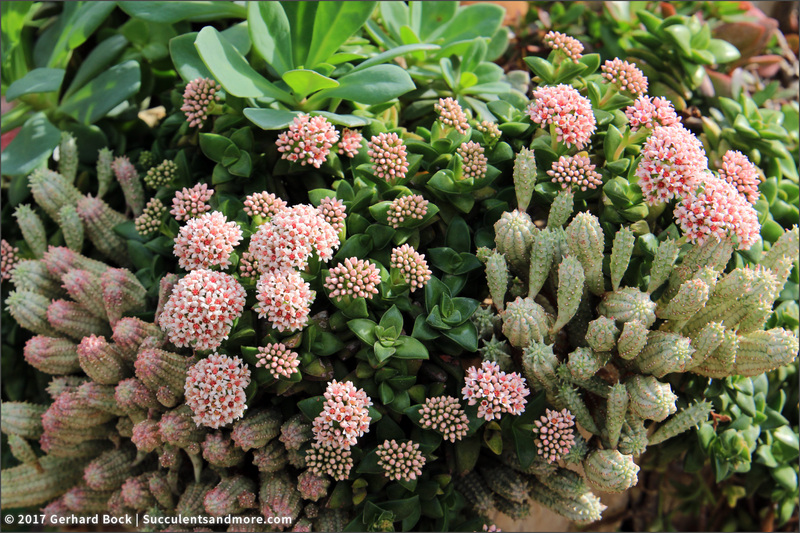 And many were in bloom. I love the deeply channeled leaves and the hue they take on when stressed. 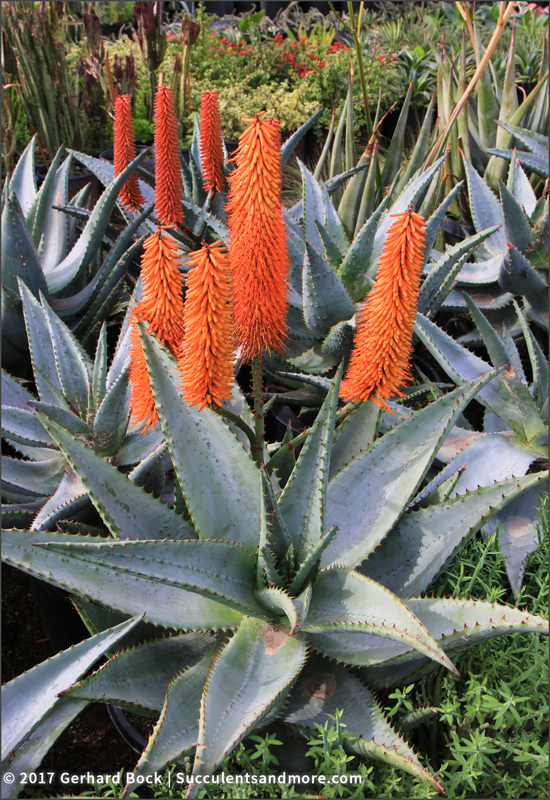 They also had Aloe ferox with distinctly blue leaves. Usually they're much greener. Maybe these were hybrids? Again, no labels. Getting dense clumps of weeds out of pots filled with prickly cactus cannot be fun! 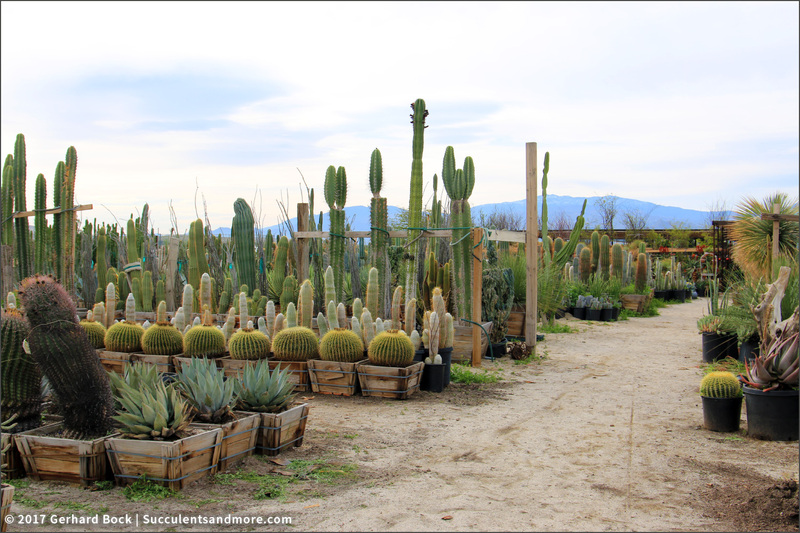 Living in an area where nurseries at best carry a small selection of cactus and succulents tucked away in a corner, I'm still blown away by what you can find at a specialty succulent nursery like Mariscal! That looks like a fun place to visit, (except in summer). Come to think of it that area is already in the 90s. All the weeds must be shriveling by now. 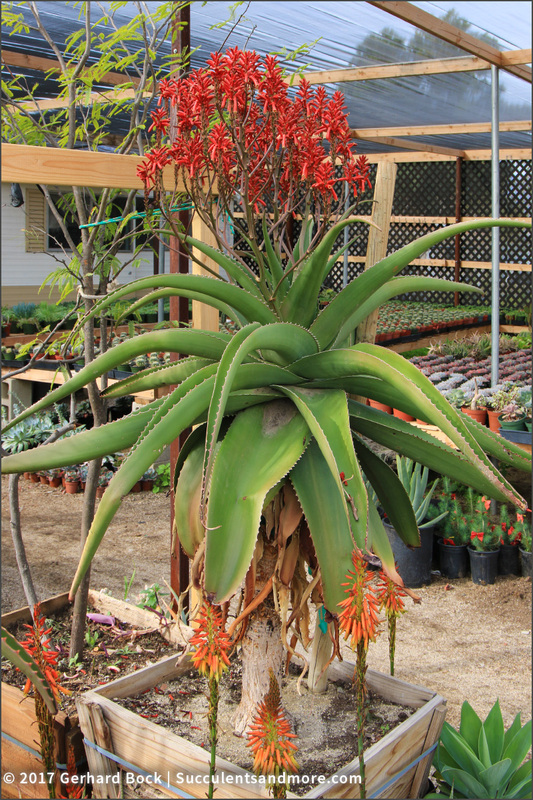 Looks like A. ellemeetiana to me, too. Waiting for the heat--I bet that's their weed abatement strategy. Not sure there's much else you can do in a nursery that size. 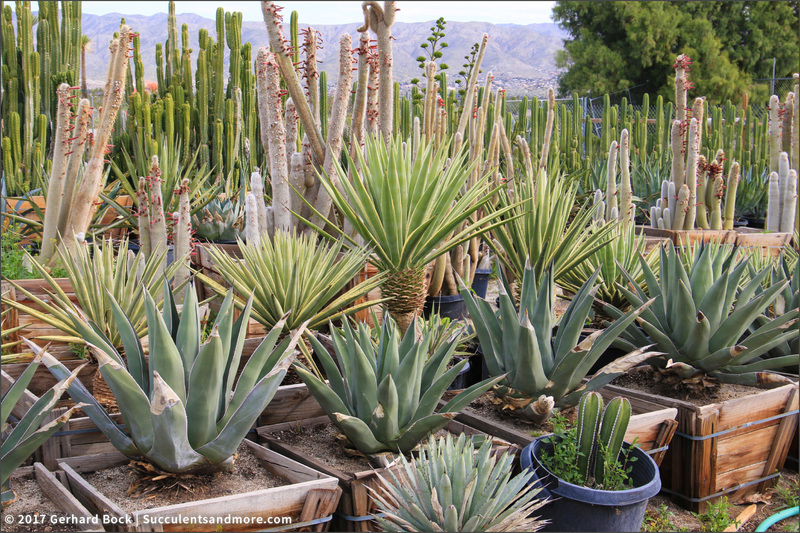 Has Agave ellemeetiana become more common? It used to be a fairly rare species. 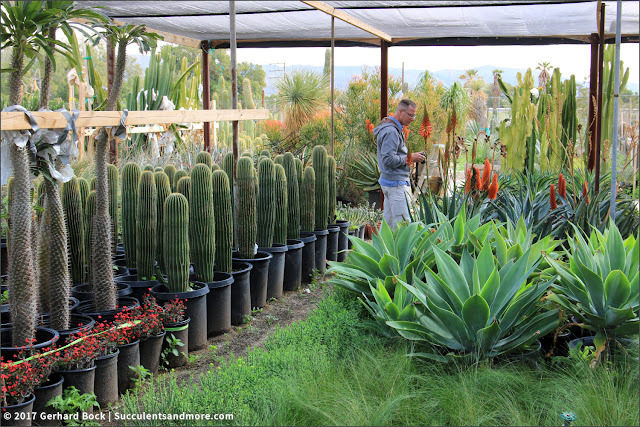 I was surprised to see it a nursery that mostly carries popular plants. 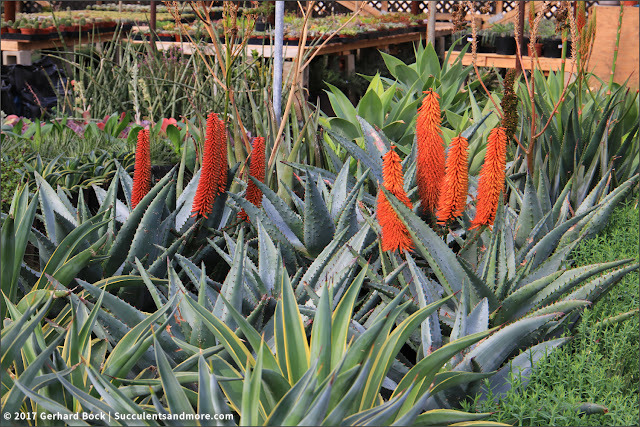 Gorgeous aloes! 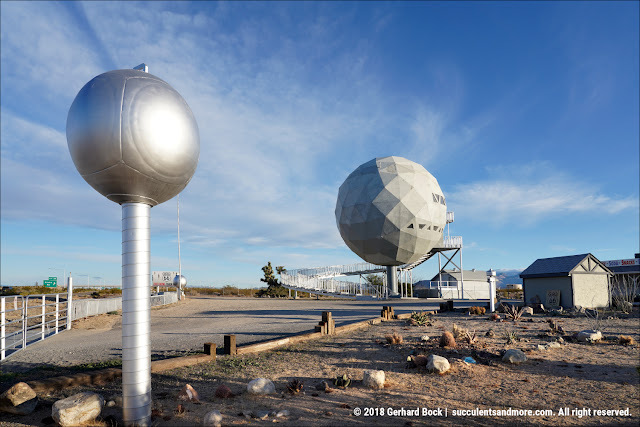 You go Gerhard! 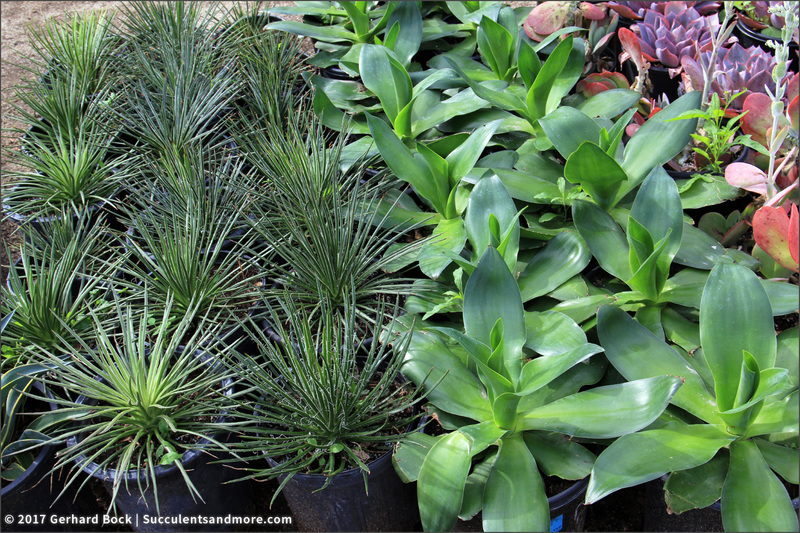 I only wish their selection of smaller plants (1-5 gallon) was a bit bigger. I would have bought more then. Average. No screaming deals but not overpriced either. 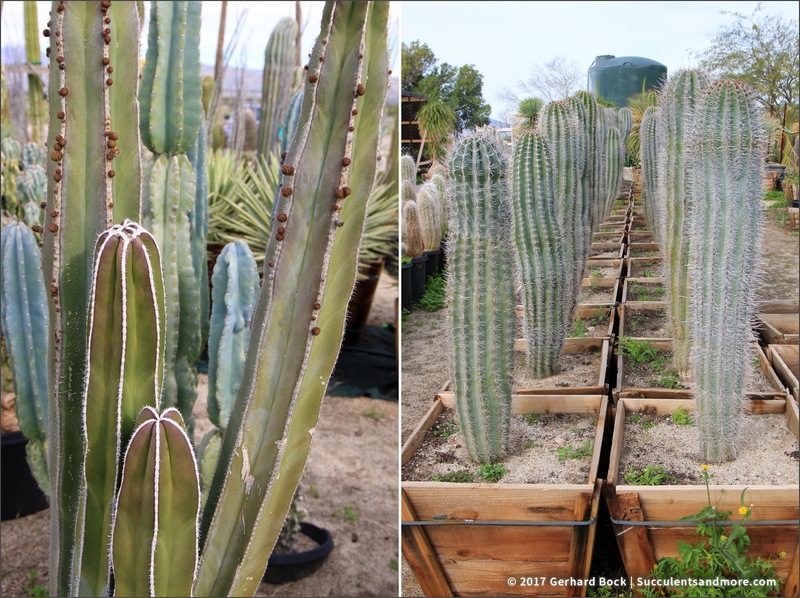 I bought a fire barrel (Ferocactus cylindraceus) in a #7 pot for $35. There might be room for negotation if you buy a bunch of plants at a time. I don't know how much the small plants (3", 4", etc.). What fun! I like your mental gardening game. I was able continue my game for a while beyond Mariscal. There was a rockyard nearby that had nice granite pillars and other machined stone pieces, as well as regular rocks and boulders. It wouldn't have taken much to fill a brandnew garden! 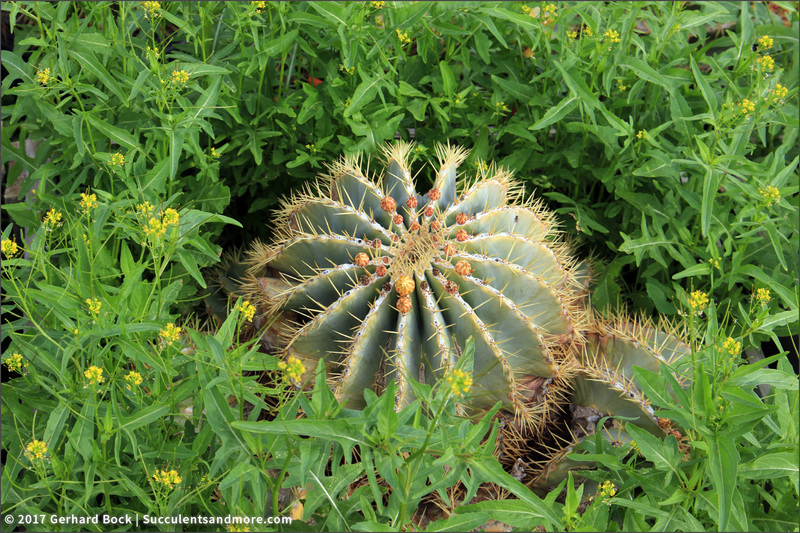 I love when you share your visits of places like this, as I rarely get to see big cactus like this. BTW that silver torch in flower is strange but so good! Alan, I have a similar post coming up. We visited another cactus nursery the same day--it was even larger than Mariscal. 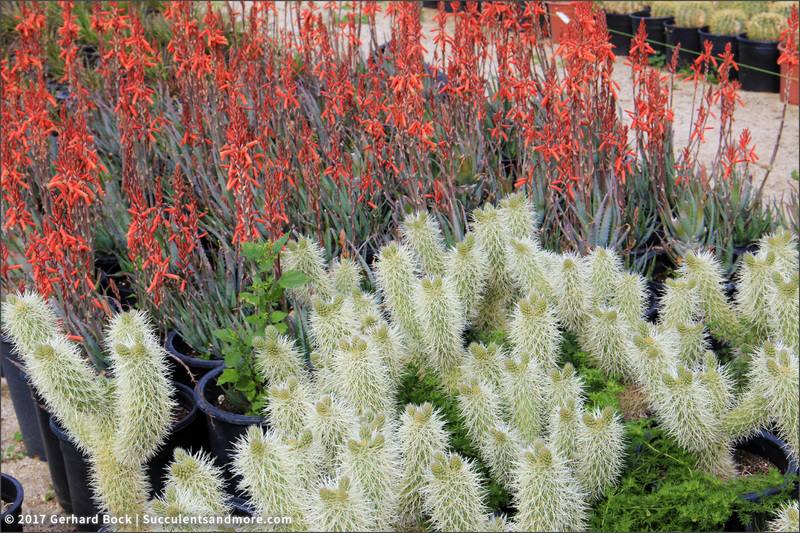 I agree with you about the silver torch cactus. 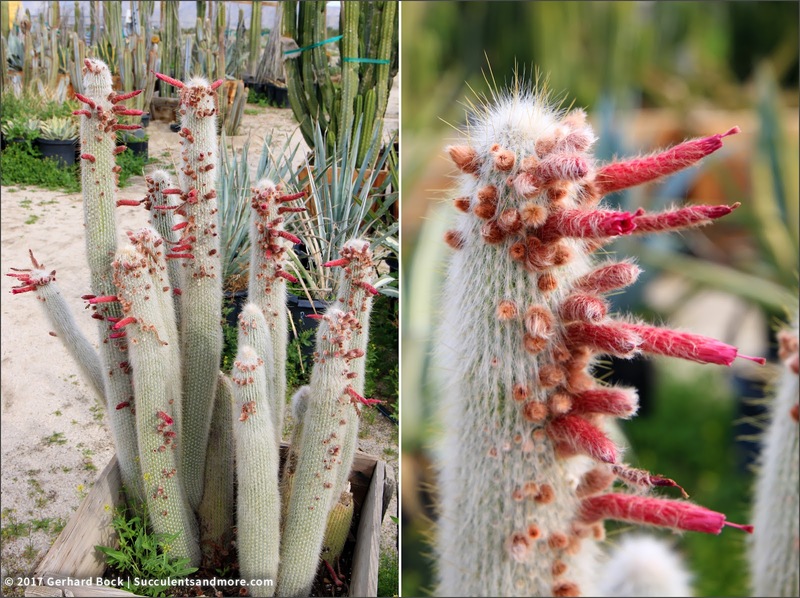 As will all Cleistocactus, the flowers appear along the side. 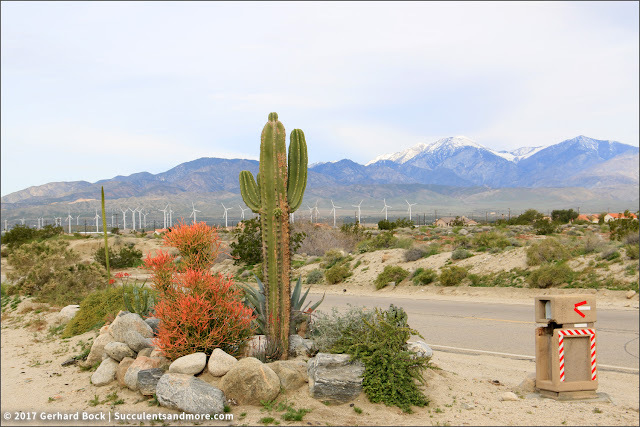 I can imagine the fun you'd have landscaping a few acres in the Palm Desert area! As for the weeds, I shall never complain of my own challenges in that area again - there's no comparison. 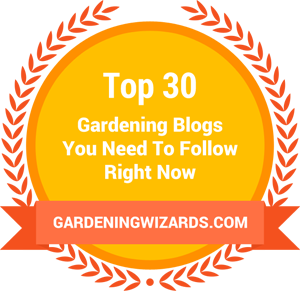 I'm trying hard to embrace weeds as a natural part of gardening but I'm not quite there yet :-). my God! 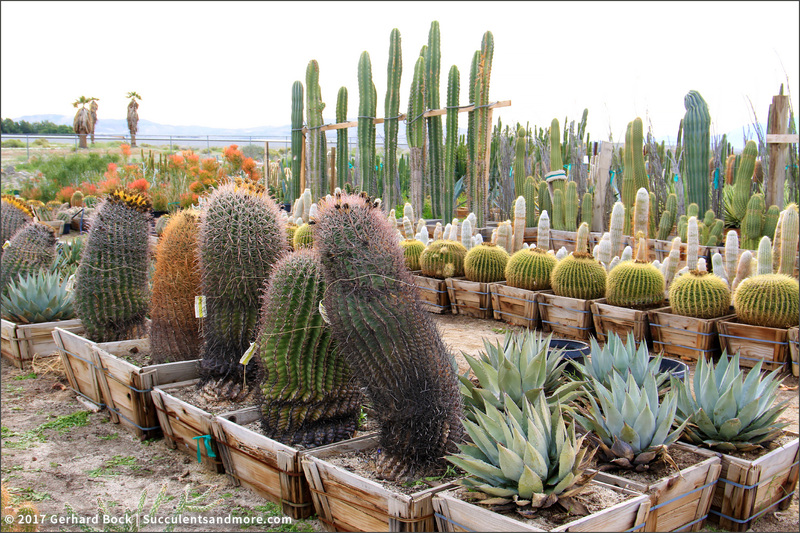 I'd hyperventilate if I visited a nursery like that! 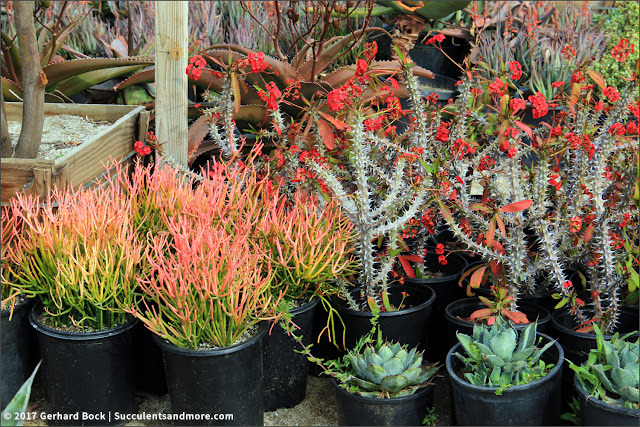 There are only few small nurseries here where I live and don't offer a great variety of plants! Gerhard I told in a previous comment that cacti and agaves are popular plants here in Argentina but I didn't tell you why! 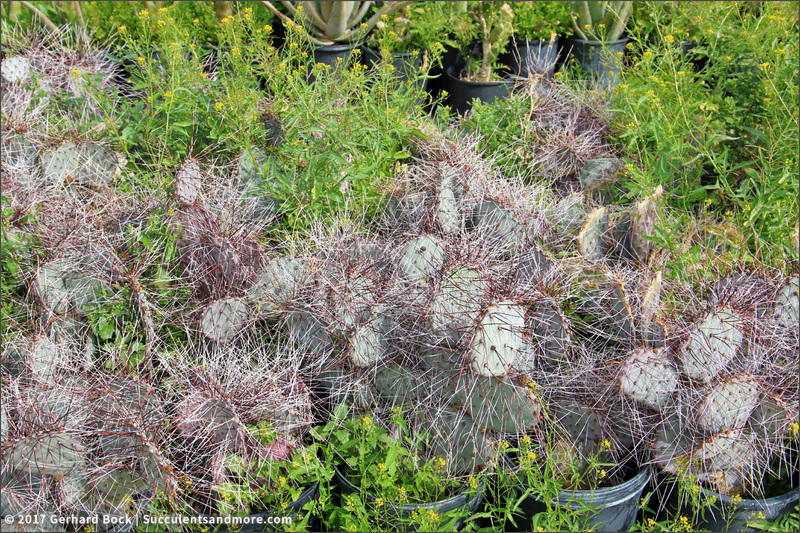 Thorny succulents are extremly appreciated here for practical reasons: unfortunately crime is a big big problem here and people use these plants to protect their houses from burglary and plant cacti near a fence, yuccas and agaves under windows... 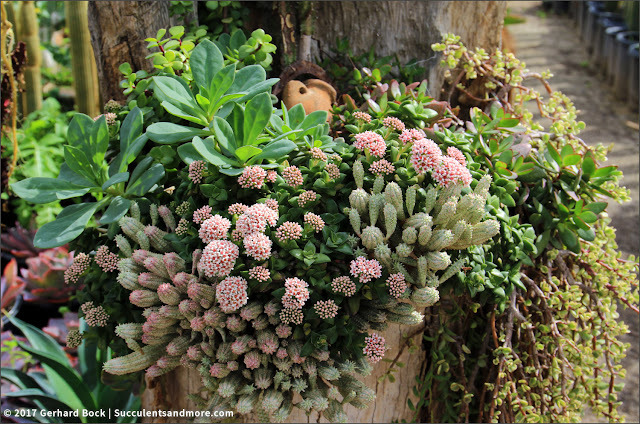 Thanks for sharing these beautiful pictures! I have friends from Argentina (Mendoza) and they also say that property crime is a big problem. I'm glad cacti and spiny succulents can help deter burglars--although I wish it weren't necessary in the first place. 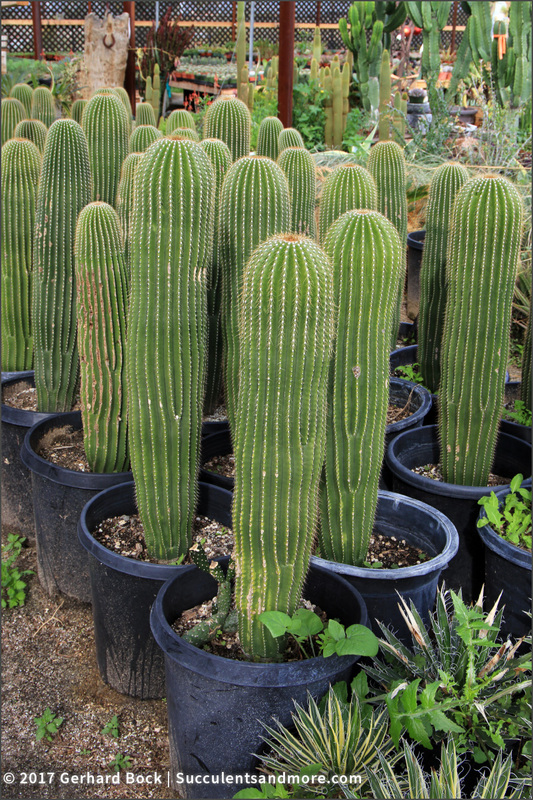 What a treat to see potted specimens of that size. 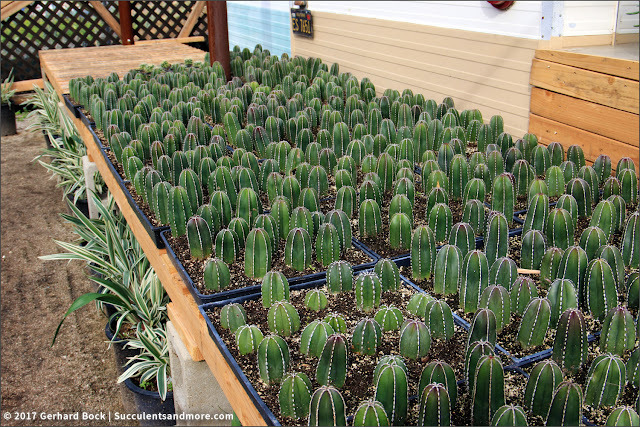 I am curious as to how you replant cacti of that size into the ground without being harpooned? 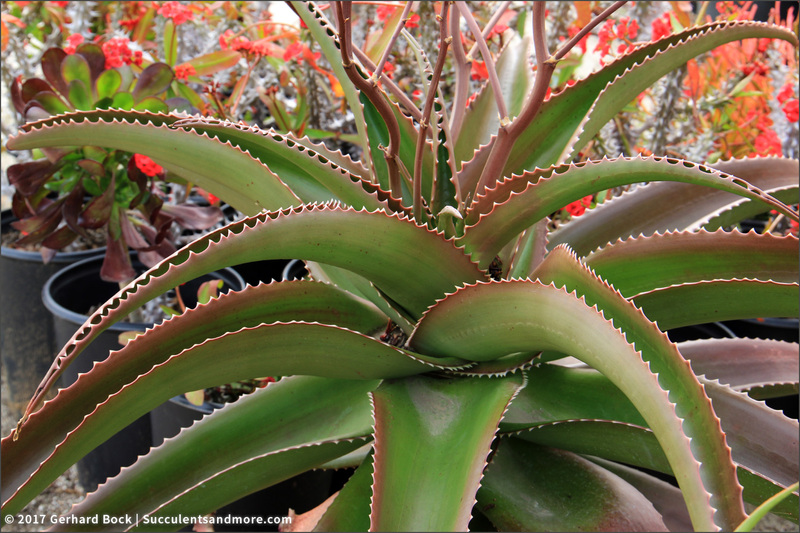 That Aloe vaombe you found is my new "must have" plant, along with Aloe "Erik the Red'.